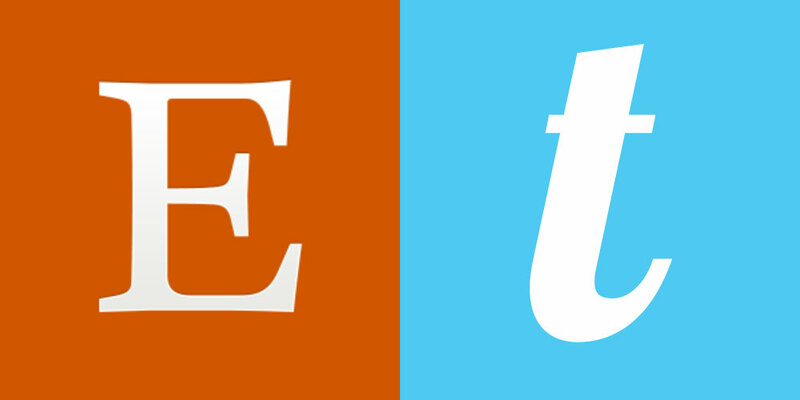 Etsy is a vast marketplace for all kinds of products including printable templates. You’ve probably already noticed hundreds of shops selling printable templates of all styles, shapes, sizes and for every occasion. That’s wonderful because it gives you (the shopper) a vast array of styles to choose from. Unfortunately, for you (and the seller) most of them are using subpar tools to edit their templates. This is frustrating for not only the shop owner who creates their templates with these tools, but also for the customers who has to use the same tools to edit their templates. This usually means you’re very limited to what you can actually edit on the template. We’ve got great news though! Our Templett application is the very best way to create and edit printable templates and since Etsy is such a large marketplace of template sellers, you can now purchase your templates on Etsy and edit them with Templett. How to know if a template on Etsy will work with Templett? 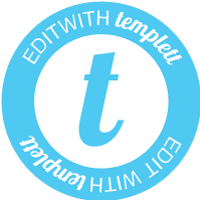 Just look for the “edit with templett” logo on the Etsy listing! Unfortunately there are still tons of sellers using MS Word templates and templates created with other tools that were not designed to edit printable templates and make it very hard to do so. But it’s our goal to educate these sellers on the benefits of our Templett application and show them there is definitely a better way. Don’t worry, we’re working on that. For now, just look for the sellers who’s listings contain the Templett logo and you can be sure that your template will be a breeze to edit and make exactly how you want it.